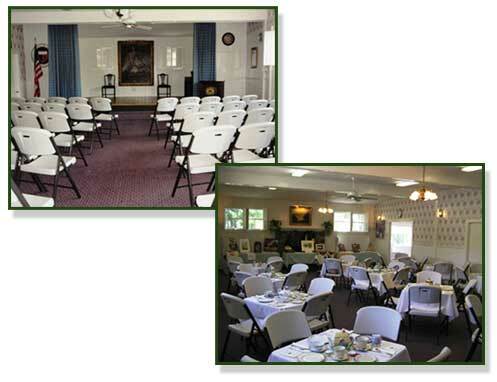 The Fallbrook Woman's Club owns their beautiful Clubhouse and makes it available to rent for special events when not utilized for Woman's Club activities. The main hall is 41' X 23', plus a raised stage and complete kitchen facilities. There is a large pull-down projector screen above the stage. The building is air conditioned, heated and handicapped accessible. Renters have their choice to use rectangular, round, card tables, or a combination. Chairs are provided. 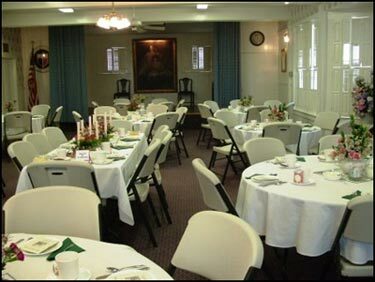 Renters designate their layout and our Caretaker will set up chairs and tables. Renters to provide their own table coverings and decorations. The Clubhouse is limited to a maximum of 80 occupants. The Clubhouse is available to renters anytime between 7:00 AM until 10:00 PM. 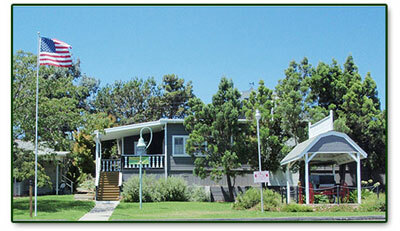 The Clubhouse rental rate is $35.00 per hour with a minimum rental of 2 hours. Time should also be rented for decorating, set-up, and clean-up. 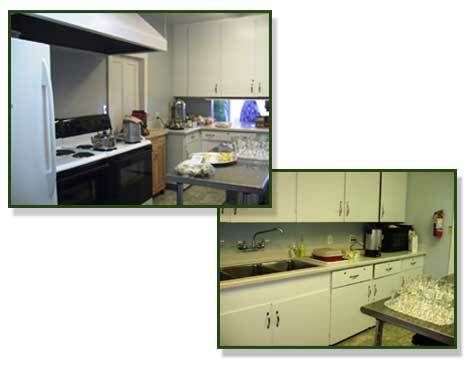 Our fully equipped kitchen is available for an additional flat fee of $100.00. The Kitchen fee includes use of all dishes, utensils, cookware, serving dishes/trays, beverage containers, coffee makers and the use of the two stoves and refrigerator. Renters are asked to clean up the kitchen after use and dispose of their trash in our dumpster. Only flameless candles are permitted. A $250.00 refundable deposit is required to reserve the Clubhouse along with a Certificate of Liability Insurance naming the Fallbrook Woman's Club as additional insured. To learn more about the Fallbrook Woman's Club and see photos of our facilities, please check our website at : FALLBROOKWOMANSCLUB.ORG . To reserve the Clubhouse or arrange for a showing, please leave a message for our Rental Chairperson, Pam, at (760) 451-9234. Thank you for your interest in the Fallbrook Woman's Club.